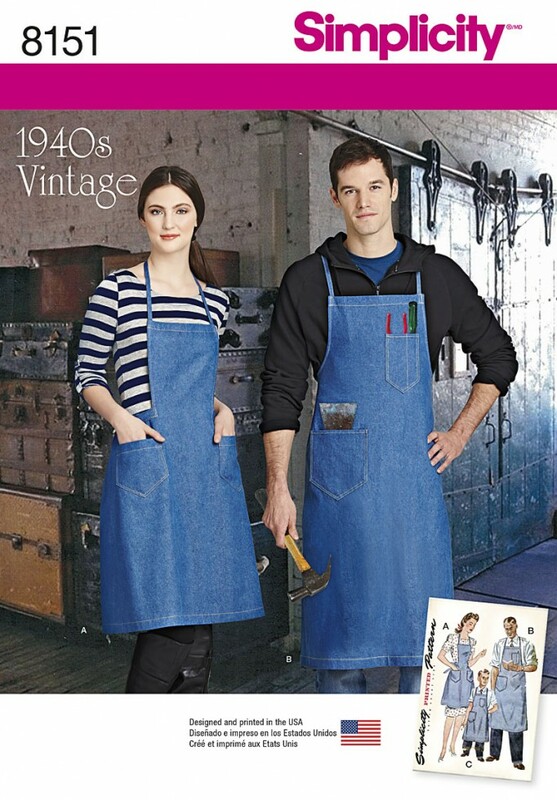 Make these great vintage 1940s aprons for the whole family. Pattern includes apron with shaped bodice sized for miss (A), traditional apron for men (B) and boys or girls apron (C). Vintage Simplicity sewing pattern.